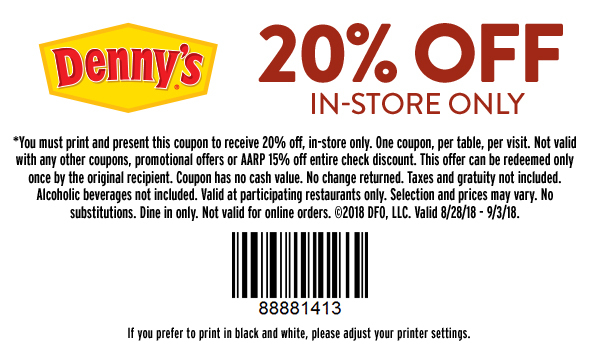 Head over to Denny's and receive 20% Off Your Entire Check with this printable coupon! Limit one coupon per table. Not valid with any other coupons or promotional offers. This coupon is valid through September 3rd.